In May 1999 Rangers made history by winning their first Championship at Celtic’s home ground. Gers stormed to a 3-0 victory to clinch the SPL title at Parkhead. 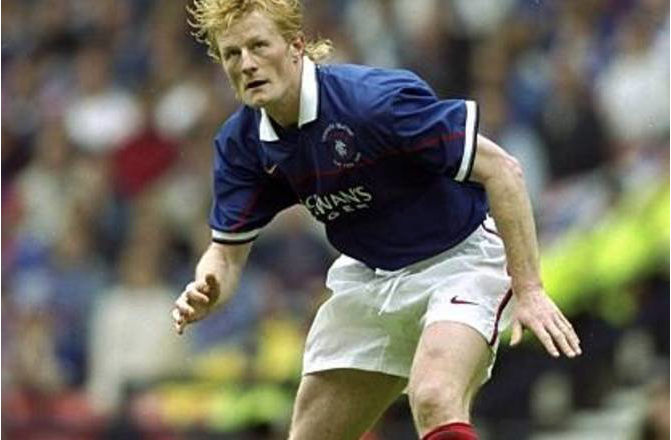 A brace from Neil McCann was added to by a Jorg Albertz penalty. McCann, Albertz and Colin Hendry will recall their memories from that historic day with host David Tanner. Guest will have the opportunity to put their questions to the trio, along with the chance to win some incredible Rangers memorabilia. Standard Tickets – which include a complimentary glass of Sparkling Wine on arrival followed by a two-course dinner – are on sale now. A limited number of VIP Tickets will also be on sale. VIP Ticket holders will enjoy an intimate pre-dinner experience with the Rangers Heroes of 1999, and a commemorative photograph with the Rangers Legends. Is this a suited and booted job I take it ? I imagine it's Lounge Suits. 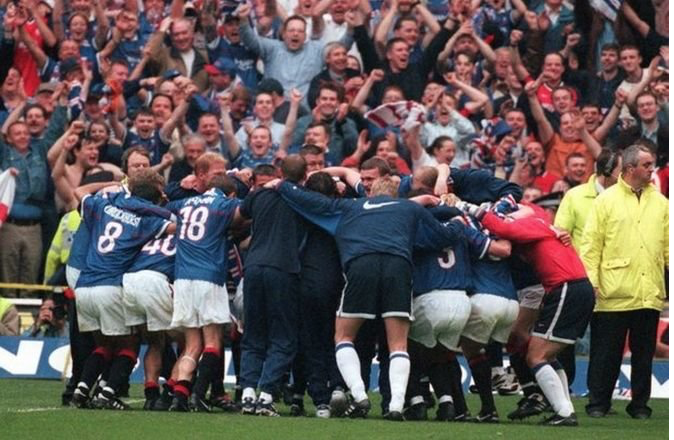 Join Colin, Neil McCann and Jorg Albertz next Friday 19th April at Hilton Glasgow Grosvenor to commemorate the 20th Anniversary of The Heroes Of 1999. VIP Tickets are SOLD OUT , but the last remaining standard tickets are on sale now.